2015 has seen a rise in women pushing the limits of female surfing and finally, giving them the credit they highly deserve. These women are showing guts, a hell of a lot of blood, sweat and not a tear in sight! With Kelia Moniz already wowing the world over with her longboarding Teahupoo shenanigans, Sally Fitzgibbons winning the Fiji Pro dominating 10-15ft surf whilst simultaneously repping a burst eardrum, Nikki Van Dijk busting both her upper and lower lip at the Fiji Pro and Tatiana Weston Webb getting some of the best barrels, also back at Fiji. Tatiana Weston-Webb tucking in for a 9.17 during Round 3 of the Fiji Pro. Photo courtesy of WSL. Now, Keala Kennelly has been further pushing the limits of surfing and killing female surfer stereotypes. Last week bore witness to Kennelly being whipped into a Code Orange Teahupoo bomb, one of the heaviest we’ve ever seen ridden by… well, anyone, be that male and female! 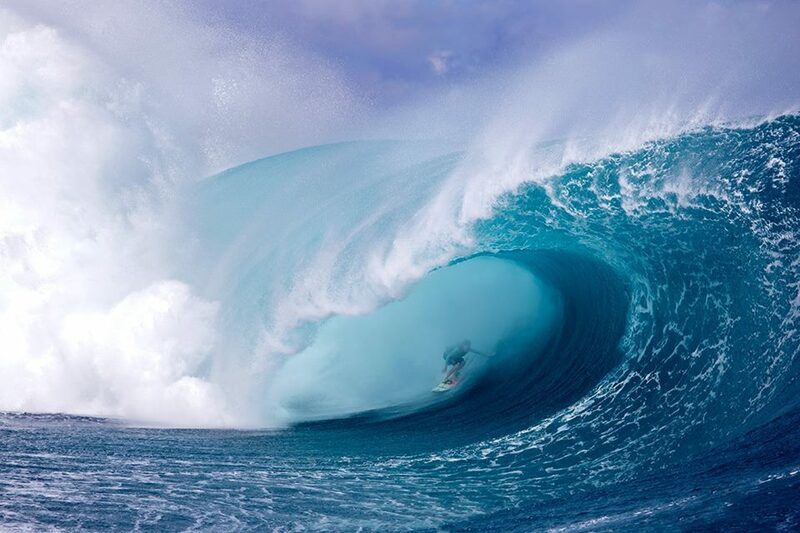 Kennelly is no newby to Tahiti’s infamous break, with countless previous encounters and incredible rides, with that one unforgettable wave back in 2011, resulting in a serious case of face bashing, with a whopping 40 stitches to the head.